Can Anything Good Possibly Come Out of the NFL Referee Debacle? Every week, our panel of sports fans discusses a topic of the moment. For today's conversation, Patrick Hruby (writer, ESPN and The Atlantic), Hampton Stevens (writer, ESPN and The Atlantic), and Jake Simpson (writer, The Atlantic), discuss the return of the pro football refs. Wave the Stars n' Stripes, plant a drunken kiss on an unsuspecting dental assistant in Times Square, summon the ghost of Rodney Dangerfield and fire up some Kenny Loggins: our longest national nightmare since the Dwight Howard trade threatened to out-Favre Brett Favre is finally over. After a month of preposterous calls, on-field chaos and the Seattle-Green Bay Non-Catch Heard 'Round the World, the NFL's clown college scab referees are out, banished to the Lingerie Football League wait-list from which they came, mercifully replaced by the genuine articles. Welcome back, Ed Hochuli. Your steady hand—and U.S.S. 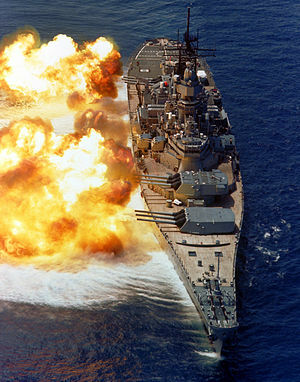 Iowa-class guns—have been missed. Can we wash your cape? Indeed, that may have been the biggest lesson of the NFL's disastrous—debacle-ous?—lockout of its game officials: the knowledge that the striped shirts we usually love to hate are the only thing standing between professional football as we know it and Vince McMahon's Rollerball. (They're also the only thing standing between the league as a gambling paradise and Cleveland-Baltimore as worse bet than Facebook shares). We want Hochuli on that wall. We need Hochuli on that wall. And not just to blame when things go south for our favorite teams. Still, there were other takeaways, too. A labor union can still whip plutocratic management in a contract negotiation provided that said union has actual leverage: for one, the scab refs proved that their regular counterparts are basically irreplaceable; moreover, the regular officials are part-time employees, with other careers and income on the side, which meant that unlike recently locked-out NFL players, they could afford to walk away from the table. We learned that politicians can be pandering hypocrites—more precisely: we got a refresher course—and also learned that while the league peddles its concussion lawsuits-driven, newfound concern for player safety with the Come-to-Jesus fervor of a cable televangelist, that concern does not outweigh the owners' desire to stick it to their gametime cops over a few million bucks in traditional pension payments. Hampton, what will you remember about the referee lockout? Will it affect the NFL going forward? Pain. Disgust. Schadenfreude. Disbelief, too. It's amazing that NFL commissioner Roger Goodell isn't being pounded ruthlessly and endlessly for a screw-up this big and dumb. The lockout of officials, a self-inflicted wound that got infected, swelled, and finally popped in Seattle on Monday night was a colossal, apocalyptic, cosmic fail. Nobody in the history of sports has ever screwed up worse, and done it for less of a reason. Ever. Certainly nothing any player has done off the field, in any sport, has done so much senseless damage to the integrity of a game. There's never been an arrest for drunk driving, a gambling scandal, or a "bounty" that has hurt pro football a fraction as much as the commissioner just did. Lord knows, there has never been another instance of bad officiating that comes close to the gruesome spectacle we've seen this year. Forget Jeffrey Maier in the ALCS or a phantom fifth down helping Colorado beat Mizzou. Those were blown calls. Mistakes. Sports leagues live with them. Big ones become fan lore. With the NFL's replacement ref fiasco, it was a league's worth of bad officials. It was a dozen bad calls per game. Worse, there were a dozen more that were missed. The players caught on—quickly. They bent and stretched rules, held, clipped, and the league became an exercise in macabre fascination, like watching the island society in Lord of Flies devolve into chaos. Oh, but wait. The NFL not only deliberately, significantly downgraded their own product, almost daring fans to find reasons the games can't be trusted. The greater stupidity isn't even that the whole fight was over chicken feed. True, America's shimmering example of sports entertainment excellence, a billion-dollar juggernaut, made itself a global laughingstock over few thousand dollars in salaries per year, turning their precious shield into a symbol of bumbling confusion. But you know what's the most grievous, mind-bendingly gut-wrenchingly stupid thing of all? They did it—debased our game, toying with the affections of millions—to fight a union whose members all have other, full-time jobs. That's a special, deeper level of dumb. Jake, help me out. My dominant emotion right now is confusion. Maybe I'm wrong, and Goodell is brilliant. Maybe he created the replacement ref fiasco as a Machiavellian ruse to get fans talking about something, anything besides concussions. Either that, or we should fry an egg on Roger's forehead to see what sticks, because that guy has got to be coated with Teflon. You're the booth official this week, man. You get the last word. Mine is: help! I wish I had a positive spin to put on this story, Hampton, a panacea for the three-week eyesore we just witnessed. But there isn't one, at least not one that I can see. The NFL decided it was going to "win" the labor negotiations with the referees, just as it did with the players last year. The owners and Goodell were willing to sacrifice the short-term integrity of the game for a long-term leg up in all their labor disputes—simply put, lose one negotiation and you open the door to lose more down the road. I spoke with Tulane University sports law professor Gabe Feldman about the ref issue, and he said that a large part of it came down to "the NFL's belief that the players and the refs are not bigger than the league." And though the NFL had to compromise more it might have wanted because of Monday night's fiasco, it still got what it really wanted—starting in 2017, the refs will have a 401(K) plan like every other league employee, rather than a pension plan. If there's one silver lining from this lockout, it's that we won't remember it in 20 years. Had the replacement refs been in place for a full season, the Packers-Seahawks ending might not have been the low point by the end of it all (that would be a player getting seriously injured, like Darrius Heyward-Bey almost was). But this will fade into the tableau of league history, like the players' strike of 1987 or Spygate. Did you know that the league used replacement refs in Week 1 of the 2001 season? Until last week, I didn't either. Scratch that—I once knew, but had forgotten because the NFL marched on and we all started caring about something else. The sour taste of this lockout may take a little longer to go away, especially if you're a Packers fan. But come December, or January, or Feb. 3 in New Orleans, the focus of football fans will have shifted fully to the 22 men on the field wearing helmets. That, at least, we can look forward to.